There are wolves in sheep’s clothing in really every profession and industry under the sun, but there seem to be a particularly high number of horror stories associated with finding a contractor. This is partially because there are less-than-reputable folks out there who can talk the talk like a pro, offering contagious enthusiasm and confidence, but delivering a truckload of frustration. This is also because too many homeowners get swept up in the excitement of the building or remodeling process, and aren’t sure of the right questions to ask and attributes to look for. It’s an easy mistake to make, but it’s also an easy mistake to avoid. 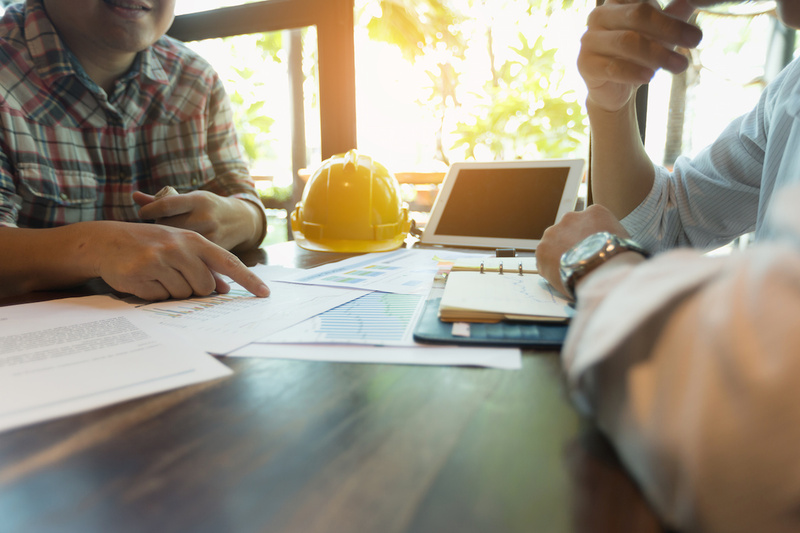 To ensure that you really connect with a professional contractor who is worthy of your trust, keep these key questions in mind. What Should You Ask Your Contractor? This is a fast way to weed out the shoddy from the reputable and responsible. Licensing and insurance is absolutely essential, both for the sake of legality (in many cases) and also your protection and peace of mind. And, make sure you are shown proof! A contractor doesn’t need to have been in business for 50 years to be a quality professional, but an established, local office space is important. This shows roots, connections to the community, and that they’re a legitimate business. 3. What’s Included in Your Estimate? It’s easy to assume sometimes that something like prep work (in the case of painting) is included. If it’s not spelled out in your estimate, it likely may not be! Every detail needs to be crystal clear to keep you and your contractor on the same page. 4. How Much Money Is Needed Up Front? Avoid contractors who ask for large sums right away. They need enough to cover the costs incurred by the first leg of the journey, but they certainly don’t need a high percentage of the overall quote. 5. Are Reviews and Recommendations Available? Don’t take their word for it, but do a little digging of your own. Google reviews, Yelp, etc... And, while negative reviews are unavoidable now and then, check to see how those reviews are handled and responded to. This will tell you volumes about their level of attentiveness and focus. How is your time valued? Is your prospective contractor distracted by phone calls, emails, or texts, or perhaps slow to respond? If so, this can be a warning sign. It’s worth taking the time to find the best pro to handle your project! If you have any further questions about the process of building, remodeling, or adding to your Maryland home, we invite you to contact us at Stohlman & Kilner Remodeling Contractors. It would be our pleasure to serve you!